Elemis 6 piece Skin rituals Collection QVC July Tsv featuring New launch! 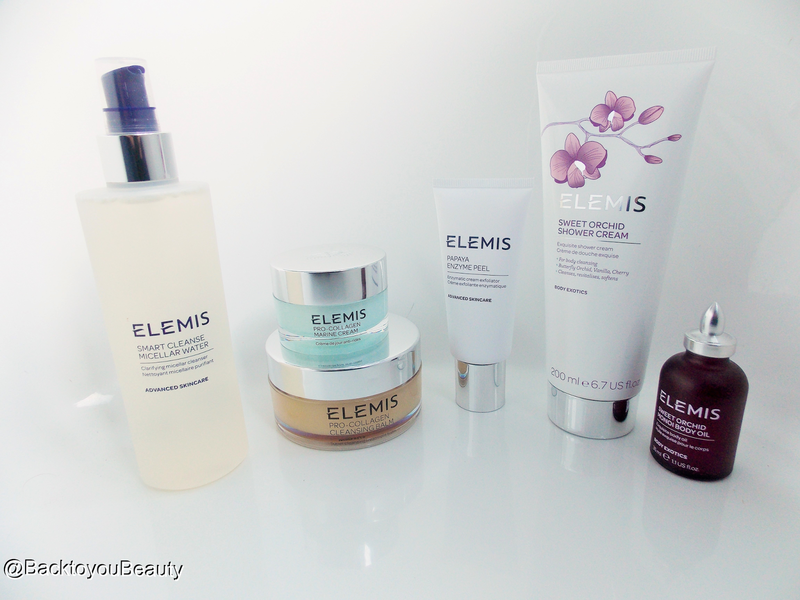 It comes as no surprise to my readers that I am a huge Elemis fan, I have been since the very beginning. I guess I have been very lucky in that from a very, very early age (16) with a career in the Financial Futures Market, I was able to afford such lovely skincare products all those years ago. I credit Elemis with giving me great skin and seeing me through acne, parenthood, sleepless nights and illness. The brand over the past 25 years has used the power of Science, Nature and aromatics to create a huge range of products that work. Today I am discussing the upcoming 6 piece Skin Rituals Collection which is the QVC TSV available only on 24th July. This really is a wonderful collection for face and body, a beautifully indulgent collection of “Me Time” products. 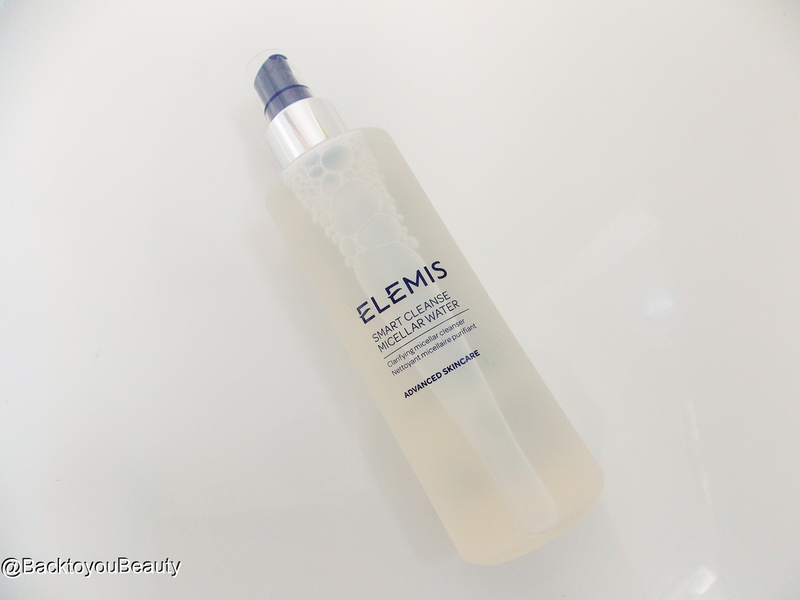 This fragrance free water is divine and yet another reason why Elemis is my favourite skincare brand. 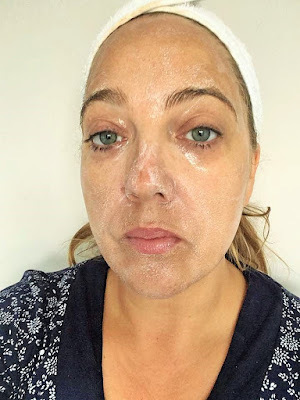 I am always writing about new product launches from them,( Most recently the Elemis Superfood Facial Oil HERE) because they just do not stop listening to their customer and what we want. 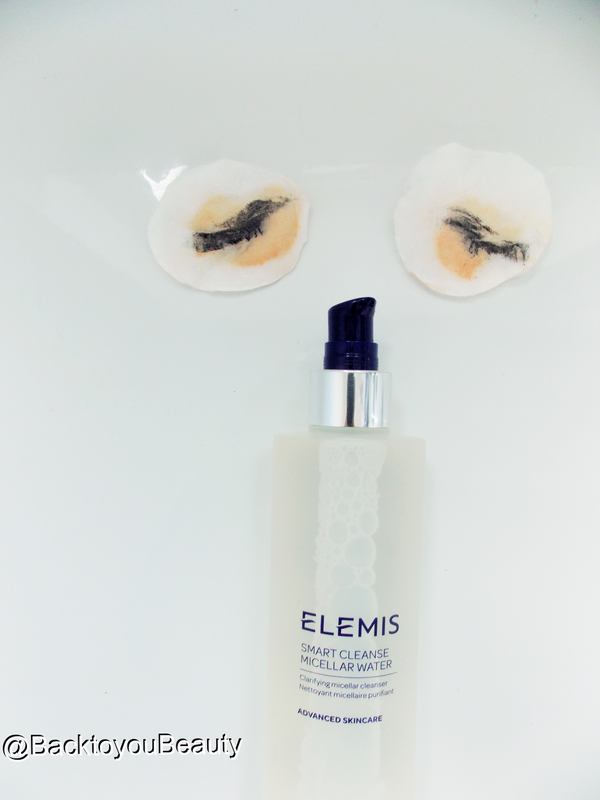 I know Micellar waters have been around a while now, but they are going to stay, and I am thrilled that Elemis have put their knowledge and expertise into creating this one. 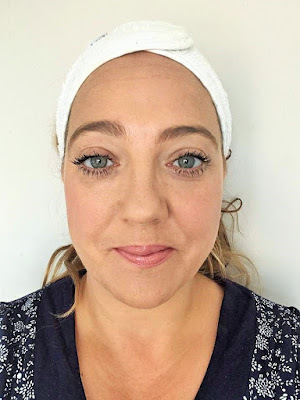 I am always going on about the fantastic effects of a double cleanse and although that is a “Buzz Phrase” I think it is something a lot of us have been doing for years…I know I have. Double cleansing basically means removing all of your make up, dirt and grime in the first cleanse, then switching to a more “Treatment” based cleanser that will nourish, feed and hydrate your skin whilst deeply cleansing it. Micellar Water is perfect for the first step. If you are someone that does not cope with the feel of normal water on your face or you have sensitive skin then this is ideal. Containing natural surfactants derived from Apple amino acids, Rosehip Seed oil and Indian Soapnut it gently lifts impurities from the skin, even sensitive skin. Organic English Rose water and Chamomile gently cleanse and soothe the skin and keep it feeling really hydrated. I use this in a few ways, of a morning if I am in a hurry, I soak a cotton pad and quickly swipe this all over my face to remove any traces of skincare from the night before. 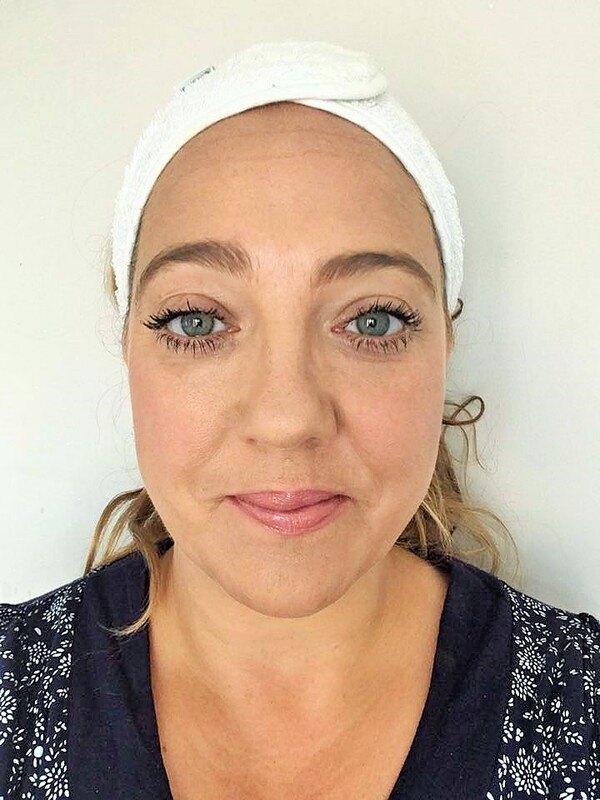 I have previously written about this award winning Cleansing Balm HERE and many of my readers will know that this is my go to cleanser most days and has been since it was launched. I love using it in the evening as I find it so relaxing and so much more than a cleanser. Rose and Mimosa waxes are infused with nourishing Elderberry, Starflower and Optimega oils and supercharged with anti-ageing algae, Padina Pavonica . As soon as you open this huge pot, you know this is a luxurious product. It has a gorgeous Spa-Like scent, that relaxes the senses and makes cleansing the skin a really nurturing time. I warm about a 10p size in my hands and gently massage it into my skin, my face, neck, decollate and eyes. It smells absolutely amazing and really hydrates and cleanses the skin deeply. I then wet my fingertips and rub this over the balm, loosening it and turning it almost milky, then wet a cotton cloth with warm water and gently wipe away. It literally removes every single trace of dirt, grime and make up and leaves the skin feeling beautifully soft, clean and plumped up. It is also beautiful layered on the face and just left to soak in as a mask. I do this when I am in a lovely warm bath, as a pampering ritual and then gently wipe away any residue. Feels amazing. One of my absolute top cleansers ever. 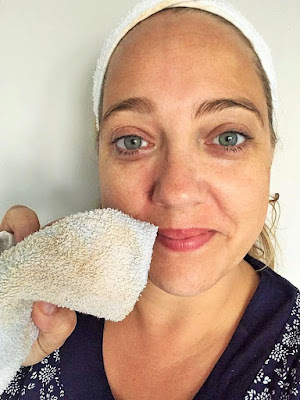 How I double cleanse – I remove my make up all over with the Smart Cleanse Micellar Water, Then massage the Pro-Collagen Cleansing Balm into my skin, Add water and massage with my finger tips, then wipe away with warm water!! Oh my goodness I have been using this peel for years and years and just adore it. This has seen me through real troubled acne prone skin to my skin today which is clear but dehydrated. I seriously cannot say enough good about this product and how it transformed my skin and continues to do so. Please don’t be frightend by the sound of a “peel” as this is incredibly gentle. This non abrasive exfoliator uses mild Papaya enzymes and pineapple extract to give the skin a more refined look and feel. It really brightens the skin and makes the overall texture appear so much softer. It contains an ingrediants called Bladderwreck which I love in products. It is a form of kelp/black seaweed which has a really high iodine content, as well as many other minerals and vitamins. I have actually bathed in Bladderwreck numerous times to detoxify my skin and its amazing. In skincare it also does exactly that, it detoxifies the skin in a gentle way, without causing breakouts, it nourishes the skin and deeply cleanses it without leaving it dry. I know I am waxing lyrical but I have seen the amazing benefits of this ingredient first hand and that’s why I love this peel so much. The Papaya Enzyme peel smells, mouth-wateringly fruiy and uplifting. It is a light orange coloured cream that you apply to your face ( Avoiding the eyes) after cleansing, twice a week and leave on for 10-15minutes. 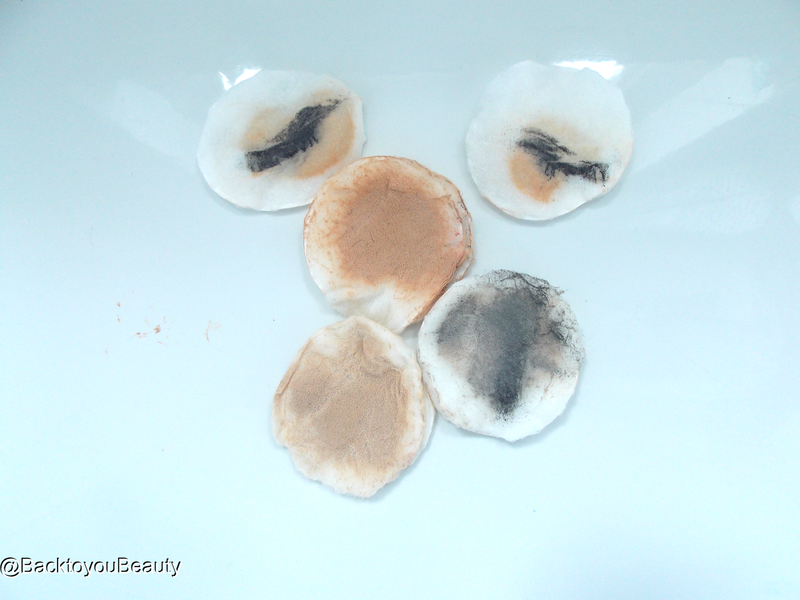 Sometimes on my dehydrated skin it sinks straight in so I just wipe away with a warm cloth after. I am always blown away by how clean, bright, soft and hydrated my skin feels. If your skin is lacking brightness, or you have breakouts around your chin area definitely give this a go. Again, a favourite, I absolutely feel like this collection was made for me so, yes I am jumping up and down over it! This is my Cream, the cream I always go back to and use every day when I am not trialling any other skincare. This cream makes my skin sigh with happiness hahaha and is the perfect base for make up too. If you look on the ELEMIS website you can read some of the data they have collected regarding the trials on this product, but it has been clinically proven to reduce the depth of wrinkles, improve firmness, tone and hydration in 15 days! The texture is so light and cooling and really sinks in quickly onto the skin leaving no residue. 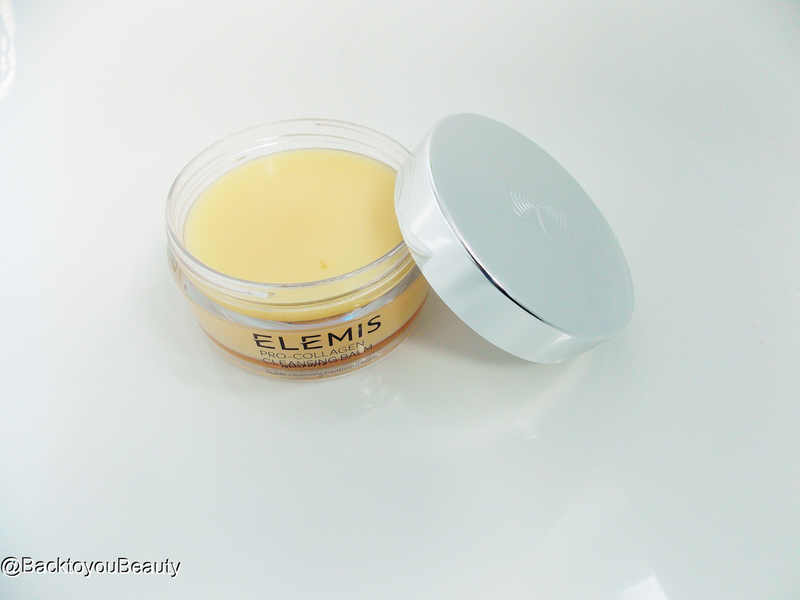 Light Texture of Elemis Pro-Collagen Marine Cream DO NOT USE THIS MUCH!! You only need a small, pea sized amount, gently warmed in the hands then just massage it upwards over the face, neck and décolleté. In the beginning I used slightly more as my skin was so dehydrated and I felt that I needed it, but with regular use, that really is enough to cover that whole area. I just do not feel it on my skin, it melts in immediately and keeps my skin deeply hydrated all day long. I would highly recommend this product if you are concerned about fine lines, wrinkles and hydration, its a no brainer. Suitable for all skin types. If you read my post back in November last year HERE when we were first introduced to this product, you will know how beautiful me and many, many other people found it. What you have here is THE most beautifully decadent, shower cream possible. This Shower cream is suitable for all skin types and feels exquisite on the skin. I was blown away by the scent and I really do not think you will be disappointed. The scent of Oriental Orchid, Sweet Vanilla, Aromatic Santalum and refreshing Citrus have been so expertly blended that although they are light, they linger and if you use this before bed, you will most definitely wake the next morning being able to smell this delicious scent. It is absolutely beautiful. It is Floral without being sweet, it is warming without being a winter fragrance and it is Oriental without being too spicy. Its has a citrus edge which, combined with the other scents reminds me of late nights on exotic holidays with the scent of Beautiful, warm flowers. Its sensual, its spa like, I adore this fragrance and would happily wear it as a perfume. Not only does this shower cream smell divine, in my opinion, but the packaging looks gorgeous. It foams up wonderfully on a shower sponge, feels beautifully silky on the skin and gives a deep down, thorough cleanse which leaves the body completly hydrated. At the end of last year I was incredibly lucky to have a Sweet Orchid body wrap massage at The House of Elemis Spa in Mayfair. The Sweet Orchid Monoi Oil was used lavishly in that treatment and was divine, so I am thrilled it has finally been released for at home use. This oil comes in a small bottle as a solid oil. To loosen it, let the bottle sit in warm water for a while and it will become a liquid again. This highly scented oil feels amazing massaged over damp skin after bathing to increase skins hydration. The smell is intoxicating and the oil leaves everywhere feeling beautifully soft and smoothe. Suitable for use on the body as well feet and hands as part of a manicure and pedicure ritual and also on the ends of the hair to tame split ends and flyaways. This oil can be decanted into small pots and left to go solid, this then makes it perfect to keep in your handbag or pockets and use on dry lips, cuticles and anywhere the skin needs extra hydration. Beautiful to use on summer skin of an evening to deeply nourish it and scent the skin before an evening out. A wonderful, multitasking oil. This whole collection also comes in a beautiful cosmetics bag that is suitable for bath products or make up products and is really sturdy and holds the whole collection perfectly. My overall thoughts on this collection – As much as I try to remain impartial on my posts, its hard with this collection. I don’t think it has come as a great surprise to see that this collection contains some of my all time favourite Elemis products. This really is a wonderfully pampering selection of products that look good, smell great but achieve outstanding results. You have everything you need for a beautiful top-to-toe ritual for yourself or as a wonderful gift for someone else. I think this collection is beautiful, perfect for all year round and all skin types. The Sweet Orchid products are highly scented so please bare that in mind. This collection as a whole is available only on QVCUK as a Today’s Special Value (TSV) on 24th July for one day only or whilst stocks last. However you can purchase this collection now HERE The collection will cost £58.96 and is available on 4 x Easy pay. I would love to know your thoughts on this collection – please leave me a comment below. "B.Is for beautiful Skincare Range – Great Skincare at affordable, HighStreet Prices." I ordered mine yesterday, it came this morning! Love all the products. I have used Marine cream for years! Unbelievable value for this collection.